Rejuvenate your bedroom with the fresh neutral hues and quiet sophistication of the Shangri-La Bed Frame – Como Collection. 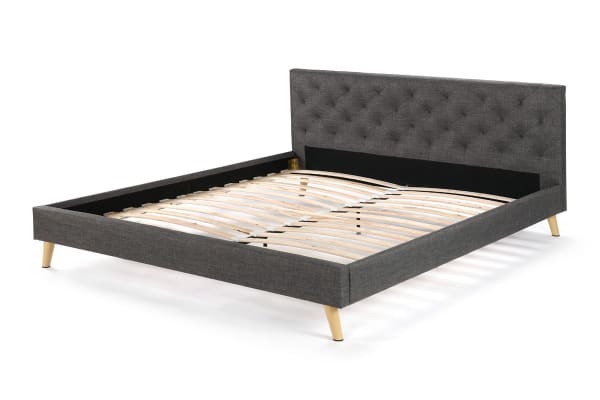 Add instant sophistication and refreshing simplicity to your bedroom with this beautifully moody, dark grey Shangri-La Bed Frame – Como Collection. The strong, sturdy construction and tall, padded headboard promises long lasting style and a comfortable place to rest night after night. 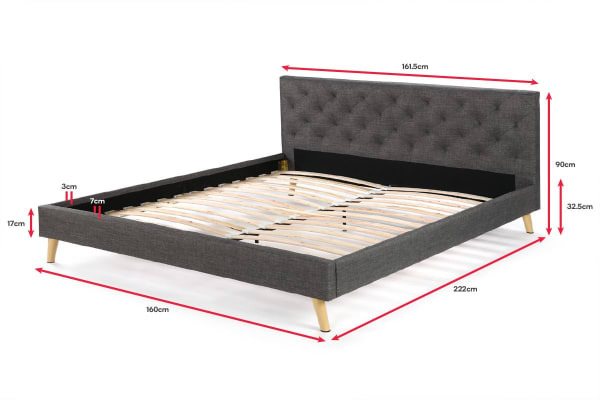 Stunningly designed with tufted grey upholstery and sturdy timber legs for a minimalist, on-trend Scandinavian-style, the *Shangri-La Ovela Bed Frame – Como Collection is an easy to assemble bed frame that you will love to come home to every night.